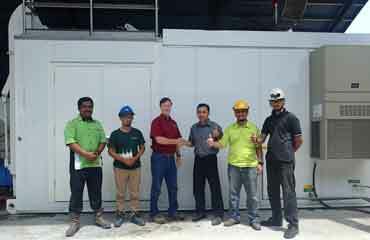 Micro-Waste installed its latest Micro-Waste® Disinfection System (MDS®) at a second commercial clinical waste treatment facility in the Southeast Asia. 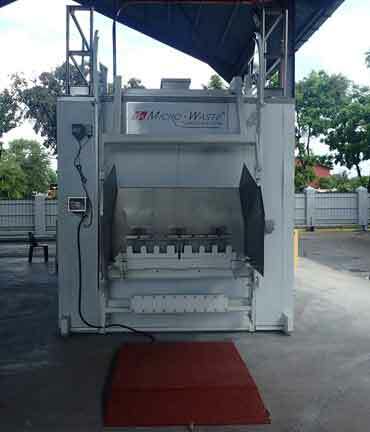 Following very successful installation and operation in southeast Asia of the first model MDS-2481, which uses microwave-assisted moist heat disinfection as in its other model, this is the second microwave treatment system technology of this type installed on the Asian continent. 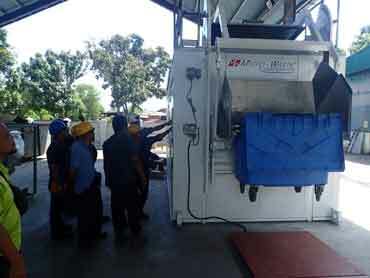 The MDS® was designed and manufactured in the United States by Micro-Waste Corporation®. The MDS-2481 was independently tested by one of the most respected laboratories in southeast Asia to ensure that the MDS® treatment system met the license requirements for the facility as well as the regulations issued by the Department of Environmental Quality. 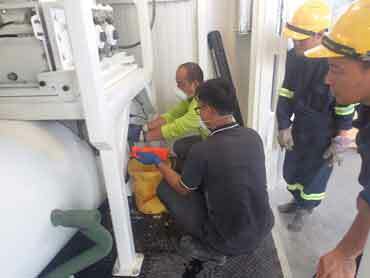 Facility personnel and laboratory personnel performed onsite biological disinfection efficacy testing using a standard disinfection test protocol of commercial Bacillus atrophaeus spores [or Bacillus subtilis (Niger)] as generally recommended by the State and Territorial Association on Alternative Treatment Technologies (STAATT) and as accepted by the Department of Environmental Quality. 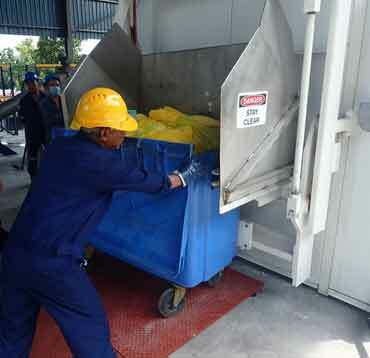 The system provides the capability for treatment of regulated medical waste in accordance with the country's regulations for commercial treatment facilities. 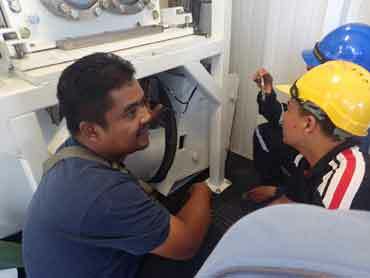 The system is expected to provide at installation a total operating cost (including labor, utilities, repair, maintenance, and waste disposal) of approximately 8 to 10 cents per pound, much less than the typical commercial medical waste transport and treatment costs of 15 to 30 cents per pound. 1. The Micro-Waste® Disinfection System was assembled and pre-shipment testing performed at the Micro-Waste's® fabrication facility in Fort Worth, Texas, USA. The MDS-2481, essentially completely assembled to maximize efficiency of installation at the commercial treatment facility, is prepared to be lifted by the overhead dual 10 ton hoists. 2. The low boy trailer was backed under the Micro-Waste® Disinfection System (MDS®), Model MDS-2481, for loading for shipment to the nearby Port of Houston for crating and ocean shipping. 3. The spare parts package and the complete spare shredder assembly was loaded on the low-boy trailer for shipment to the local Port of Houston. The complete spare shredder assembly, including shredder, speed reducer and motor, are included as a standard part of the purchase. 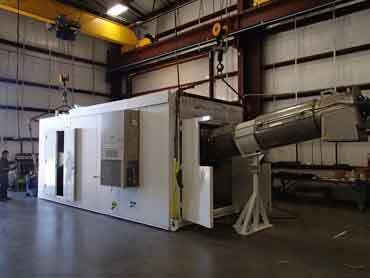 This spare shredder assembly (valued at over USD $70,000) is included in the purchase price. This assembly allows the complete shredder assembly, after processing approximately 1,500,000 pounds (680,000 MT) of clinical waste, to be replaced in only 4 to 6 hours onsite with only client personnel and standard tools and equipment (no rented overhead cranes, hoists, etc.) This is in contrast to competitive technology that requires overhead cranes, system shutdown for about one week and over 100 hours of client and contractor manpower, for the similar replacement. 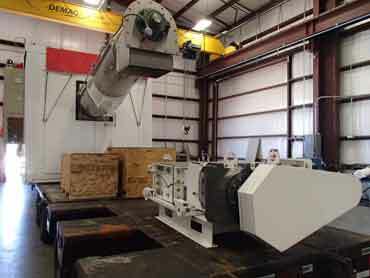 The replaced shredder can be rebuilt in the local machine shop with standard shop tools and the convenience of the facility operator. 4. 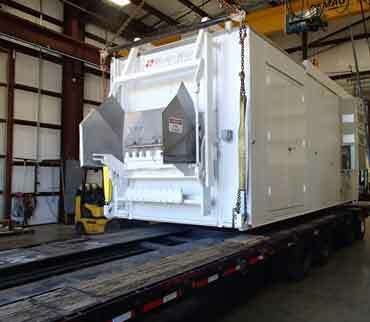 The MDS-2481 was tarped to protect it during shipment to the local port at Houston, Texas, USA, where the MDS®, spare shredder assembly and spare parts package was barrier sealed and crated for ocean shipment. 5. 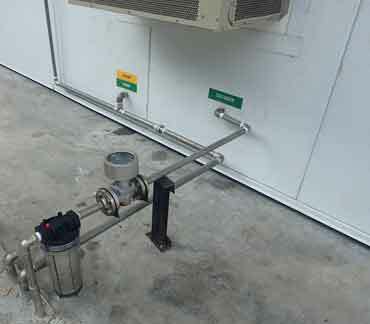 The system was installed by facility personnel, including scale weighing system, electrical connections, and water and drain piping in 2 days. The MDS® is manufactured with a weather-tight housing allowing installation both inside and outside for maximum flexibility for the facility. 6. 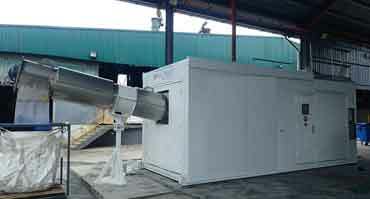 The MDS® is manufactured to allow physical connection to all utilities in about 1/2 day, including a single 400 VAC power supply and a single water line and a drain line for steam generator blowdown. 7. 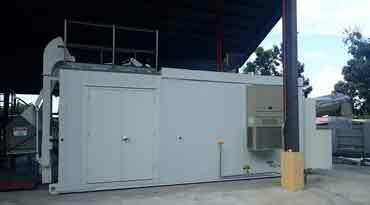 The facility operator required that the MDS-2481 use the waste carts they specified. 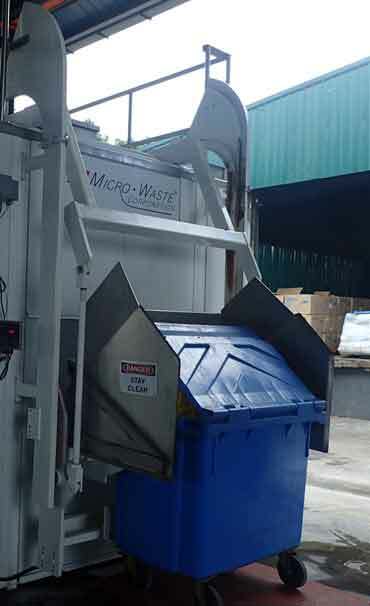 Since Micro-Waste® maintains its own engineering and manufacturing capabilities, the cart lift system can be designed and fabricated for any cart system required by the customer. 8. 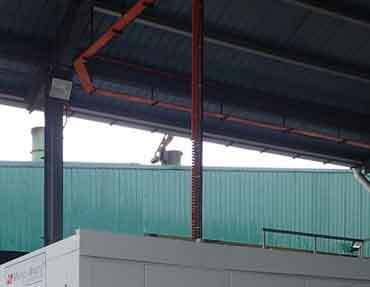 The cart filled with clinical waste is rolled onto the platform scale of the weighing system. 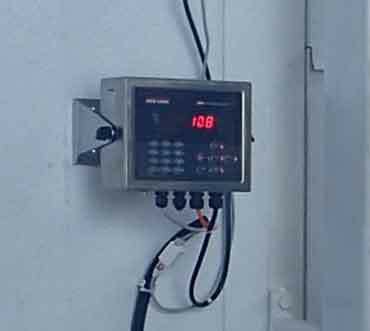 9.The weighing system was calibrated in kg by a certified scale company for operational monitoring and regulatory reporting. The scale can be calibrated in either metric or imperial units. 10. The MDS-2481 received thorough preoperational testing by Micro-Waste® personnel onsite to verify that the System arrived on site without physical damage and ready for operation and performance testing. 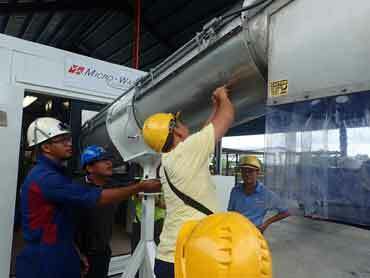 The system was operated by facility personnel as part of the onsite training. 11. 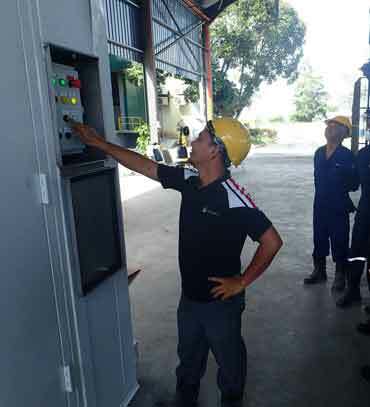 As part of the Micro-Waste® training, facility operations personnel, supervisors, and management operated the system during component functional testing and biological efficacy performance testing. 12. 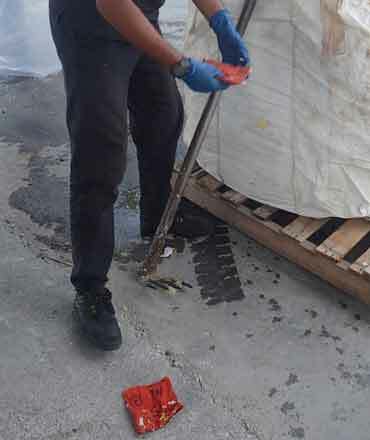 Facility operations personnel performed biological testing by inserting standard commercial biological test samples below the shredder. 13. Facility operations management coordinated the biological performance testing to ensure that the MDS-2481 met facility license and regulatory requirements. 14. 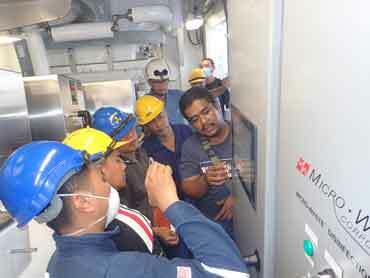 Performance testing biological samples were retrieved by operations personnel from the discharge of the MDS-2481. 15. The performance test biological samples were under the complete control of the highly recognized third-party laboratory in the facility country approved by the regulatory agency. The test samples, with control test samples to ensure proper quality control and incubator operation, were managed and incubated by the laboratory at their facility. 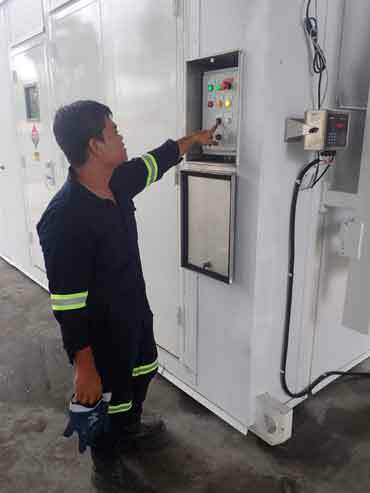 Following completion of the testing, the laboratory issued a certified report to the facility operators which was accepted by the regulators in support of the operating license of the facility for the commercial treatment of clinical waste. A second set of performance test biological samples with control test samples to ensure proper quality control and incubator operation were managed and incubated by a third-party laboratory in the USA in the same manner. 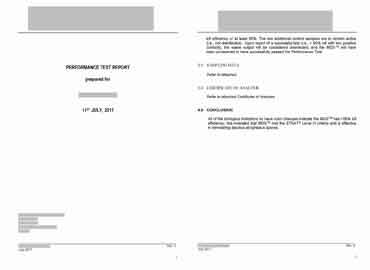 Following completion of the testing, the laboratory issued a certified report indicating that the MDS-2481 met and exceeded the STAATT guidelines. 16. Following successful installation, start-up and performance testing, the MDS-2481 was accepted by the facility and commissioned into operation in less than one week after arrival of the system at the facility.